Taking on the Ford Figo, the Renault Sandero is a hatchback directed towards those who wish to challenge the status quo and stand out from the crowd. Pleasant from an aesthetic viewpoint, the Sandero flaunts dimensions of 4.06 meters, 1.99 meters, and 1.52 meters , length, width, and height respectively. Powered by a 1.6-liter 4 Cylinder engine that is concelaed beneath its sloping hood, the French hatchback is good for 110 hp and 148 Nm of torque. Sending its grunt through a Front Wheel Drive layout, the Sandero hits 100 km/h in 11.2 secs and packs a top whack of 170 km/h. 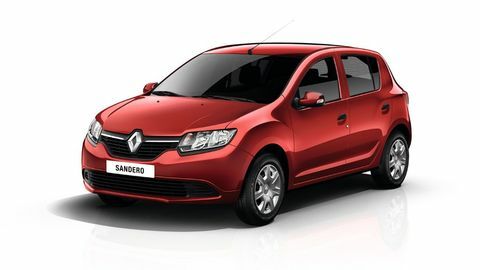 Priced at EGP 201,000, the Renault Sandero is for those who know what they're after and aren't willing to sacrifice. Looking for Older Renault Sandero Models? Looking for Used Renault Sandero Instead?